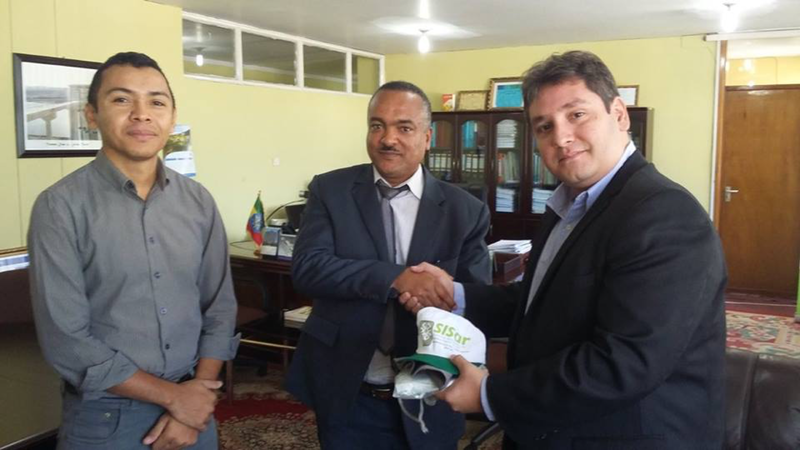 Wukro Town, situated in Ethiopia’s Tigray Region, received two Brazilian experts in the area of sanitary sewerage from 12 to 23 October 2015. 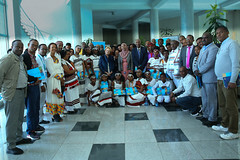 The two officials from the Water and Sewerage Company of the State of Ceará (CAGECE), Fabiano Lira and Marcondes Ribeiro Lima, travelled to Ethiopia as part of the Trilateral South-South Cooperation initiative between Brazil, Ethiopia and UNICEF. 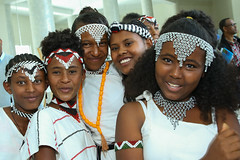 In the early 2015, a 2-year tripartite South-South collaboration has been developed between the Governments of Ethiopia and Brazil with the assistance of UNICEF Brazil and UNICEF Ethiopia. The theme is ‘urban sanitation and urban water’ and aims at strengthening Ethiopia’s water supply and sanitary sewerage services, directly benefitting Ethiopian institutions and, in the long term, the country’s urban population. In 1960, less than 50 per cent of Brazilians lived in urban areas. By 2012, more than 85 per cent of Brazilians lived in urban areas. Africa is urbanizing at a similar rate, with Ethiopia having one of Africa’s quickest urbanization rates. According to the Ethiopian Central Statistics Agency, the urban population is projected to nearly triple from 15.2 million in 2012 to 42.3 million in 2037. During their visit, the Brazilian officials provided key technical expertise in the development and finalization of the technical project to provide a pilot sewage network in a condominium of Wukro Town, as well as in the identification of a management system for the sewage network. Most of the condominium blocks in Ethiopia are not provided with treatment systems for the waste water produced by residents, whom are systematically exposed to severe risks related to the contaminated environment. The project will therefore contribute to the promotion of better health and quality of life for the residents of the town, with opportunities for expansion. During the mission, Scoping and technical work was conducted in the field, where key data was gathered for the preparation of the project. The delegates, delighted by the warm hospitality of the people from Wukro, not too different from the semi-arid state of Ceará, presented the drafted project both to the residents of the condominium, requested to play a key role in the management of the proposed facility, local authorities and to Ethiopia’s Ministry of Water, Irrigation and Energy. 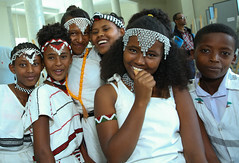 The project proposal was received positively by the Ethiopian Government and local population, signalling a productive first step in the cooperation agreement signed by both countries and facilitated by UNICEF Ethiopia and Brazil Country Offices. The next steps in the cooperation plan will be the building and implementation of the project in Wukro Town, alongside training of institutional partners and eventual expansion into other regions of the country.